The recent series of scandals involving the California Public Utiities Commission hang like a pall over the regulatory agency. Recently deposed PUC President Michael Peevey’s swapping of favors with Pacific Gas & Electric and his surreptitious work with Southern California Edison on the $4.7 billion bailout for the damaged San Onofre nuclear plant raise questions about decisions the PUC has made dating back to 2002, when Peevey joined the PUC board. 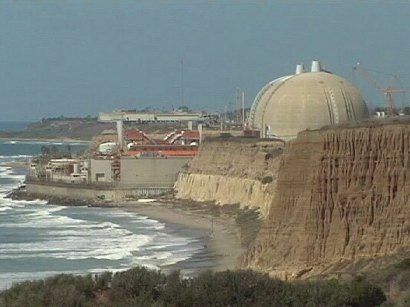 Given that San Diego Gas & Electric is the minority owner of San Onofre, Peevey had troubling ties to all three of the state’s giant power providers. This cloud over the PUC comes at a particularly delicate point. California’s embrace of renewable energy is forcing the regulator to rethink how the state’s electricity grid can be maintained and kept healthy going forward. As the San Jose Mercury News reported last month, it wasn’t built with the idea that it would receive energy from so many different sources. 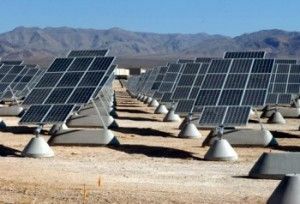 Nearly 23 percent of California’s energy now comes from renewable sources such as wind and solar, and the state is on track to reach its goal of generating one-third of its energy from renewables by 2020. But feeding all that green energy into the Golden State’s grid — without overloading it — has become a major challenge. In the morning, electricity demand rises as people wake up and turn on appliances, lights and electric toothbrushes. And as the day wears on, the state is increasingly dependent on solar plants, especially in the afternoon. A recent record was set on March 6, when solar peaked at 5,812 megawatts, five times what it was three years ago. All this solar power is allowing California to cut back on natural gas — which now provides about 60 percent of the state’s energy needs — and other traditional sources of electricity. But this can be a problem because the sun sets at the same time that people are returning home. That causes electricity use to surge, and the power plants that were turned down or even off need to start producing — fast. The majority of California’s power plants, however, aren’t up for the abrupt on-and-off challenge. Officials with ISO, the nonprofit that manages the state’s electricity grid, see a need to build new natural-gas plants and retrofit old ones to deal with the headaches the system now faces. Peevey was much less hostile to natural-gas plants than members of the state’s green movement. But if the PUC, with new president Michael Picker, continues this approach, he is sure to be depicted as being under the thumb of giant utilities. Another headache: How to deal with solar homeowners and grid? Under current regulations, solar owners get to sell their power into the grid at the full retail price, offsetting their costs at night when they pull electricity into their homes. Everywhere else in the utility economy, power producers must sell at lower, wholesale prices. In most cases, they even pay for their use of the grid to reach customers. So the PUC faces explosive questions here as well. Thousands of homeowners and companies with solar technology only made the costly investment because of a long-term expectation of a great deal from utilities. But if this great deal plays havoc with utilities’ bottom lines, they’ll need to transfer costs to their customers who don’t have solar panels. And every rate change SDG&E, PG&E and Edison seek will be considered with the backdrop of recent scandals in which Peevey appeared to have an extraordinarily chummy relationship with the three utilities. It appears to be a recipe for distrust and controversy going forward as the PUC reckons with a new era in California power generation.